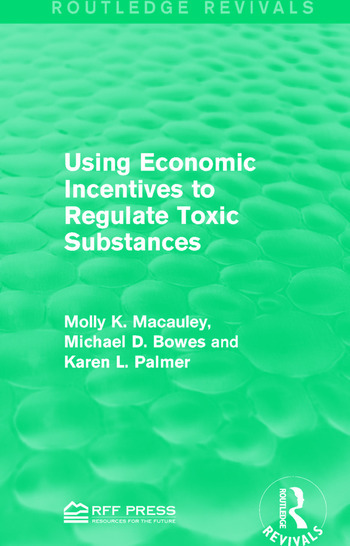 Using case studies, the authors evaluate the potential attractiveness of incentive-based policies for the regulation of four specific toxic substances: chlorinated solvents, formaldehyde, cadmium, and brominated flame retardants. Originally published in 1992, the authors provide a compelling demonstration of the role of case studies in determining the appropriate regulatory approach for the specific toxic substances. This is a valuable title for students concerned with environmental issues and policy making.